Below you fill find all funeral homes and cemeteries in or near Pompton Plains. Suburbs of Pompton Plains: Pompton Plns. Pompton Plains is also known as: Pequannock Township, New Jersey and Pequannock, New Jersey. Their current mayor is Mayor David Hollberg. Zip codes in the city: 07444. Some of the notable people born here have been: Derek Jeter (baseball player and actor), Karen Young (actor and film producer), Kristoffer Ryan Winters (actor), Criss Oliva (guitarist and musician), Don Argott (film producer and cinematographer), and Ryan Ward (actor). Pequannock Township is a township in Morris County, New Jersey, United States. As of the 2010 United States Census, the township's population was 15,420, reflecting an increase of 1,652 (+11.9%) from the 13,888 counted in the 2000 Census, which had in turn increased by 1,044 (+8.1%) from the 12,844 counted in the 1990 Census.The name "Pequannock", as used in the name of the Township and of the Pequannock River, is thought to have been derived from the Lenni Lenape Native American word "Paquettahhnuake", meaning "cleared land ready or being readied for cultivation". Pompton has been cited by some sources to mean "a place where they catch soft fish".New Jersey Monthly ranked Pequannock Township as the "Best Bang for the Buck" in New Jersey and 9th overall in its 2011 edition of "Best Places to Live" in New Jersey. It was then ranked 14th overall in the 2013 edition of "Best Places to Live". It was reported on February 1st, 2017 that Bert Stromholm passed on in Pompton Plains, New Jersey. Stromholm was 84 years old and was born in Brooklyn, NY. Send flowers to express your sorrow and honor Bert's life. It was disclosed by Grand Island Independent on August 29th, 2015 that Paul R Jr "Lee" Sensenbach passed away in Grand Island, Nebraska. Sensenbach was 58 years old and was born in Pompton Plains, NJ. Send flowers to express your sorrow and honor Paul R Jr "Lee"'s life. It was noted on November 21st, 2014 that Stephen Joseph Turro passed away in Pompton Plains, New Jersey. Send flowers to express your sympathy and honor Stephen Joseph's life. It was reported on October 10th, 2014 that Helen M Malinski (Moran) passed on in Pompton Plains, New Jersey. Ms. Malinski was 96 years old and was born in Hazleton, PA. Send flowers to share your condolences and honor Helen M's life. It was revealed by Salem Evening News on March 19th, 2014 that Ramona Comet perished in Massachusetts. Comet was 52 years old and was born in Pompton Plains, NJ. Send flowers to express your sorrow and honor Ramona's life. It was noted on August 16th, 2013 that Charles H Mayhood passed on in Pompton Plains, New Jersey. Mayhood was 82 years old and was born in New York, NY. Send flowers to express your sorrow and honor Charles H's life. It was reported on December 5th, 2012 that Bonie J Renne (Miles) died in Pompton Plains, New Jersey. Ms. Renne was 86 years old. Send flowers to share your condolences and honor Bonie J's life. It was disclosed on November 14th, 2012 that Betty Lou Kearney (Henshaw) died in Pompton Plains, New Jersey. Ms. Kearney was 85 years old. Send flowers to share your condolences and honor Betty Lou's life. It was disclosed on July 17th, 2011 that Herbert J Jackson perished in Pompton Plains, New Jersey. Jackson was 90 years old. Send flowers to express your sorrow and honor Herbert J's life. As of the United States 2000 Census, the township population was 13,888. 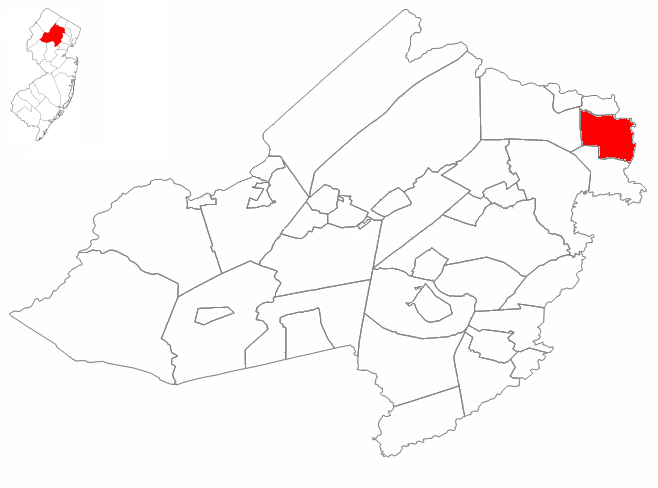 The name for the area goes back at least as far as March 1, 1720, when it was referred to as "Poquanick", a precinct in Hunterdon County, New Jersey County. Formed as "Poquanock Township" on March 25, 1740 as one of the largest townships in the region, this bedroom community composed of Pompton Plains in its northern portion and old Pequannock in its southern was once a vast region of rural Farmland (farming) settled by the Netherlands after its purchase by Arent Schuyler and associates in 1695 & 1696. The Giles Mandeville House (also built in 1788), a field and quarry-stone structure located at County Route 515 (New Jersey) Newark-Pompton Turnpike, which served as a waypoint for many runaway slaves, still stands today in use as the Manse of the adjacent First Reformed Church since 1953. Pequannock Township is a Township (New Jersey) in Morris County, New Jersey County, New Jersey, United States. The township was incorporated by an Act of the New Jersey Legislature as one of New Jersey's initial group of 104 townships on February 21, 1798. The official website for the city of Pompton Plains is http://www.peqtwp.org/. Chris Christie will be among the dignitaries paying their respects today to former New Jersey Attorney General ... nomination for governor. The funeral will take place at Carnavale Center, St. Mary's Parish, in the Pompton Plains section of Pequannock. Chris Christie will be among the dignataries paying respects Tuesday to former New Jersey Attorney General ... nomination for governor. The funeral will take place at Carnavale Center, St. Mary's Parish, in Pompton Plains. Listing all funeral homes in Pompton Plains, New Jersey so you can easily send flowers to any location (same day delivery) or find any funeral service. Find a map, directions and more for Scanlan Funeral Home in Pompton Plains, NJ. Scanlan, Charles J - Mj Scanlan Funeral Home, Pompton Plains, NJ : Reviews and maps - Yahoo! Local, 973.831.1300. Get Ratings, Reviews, Photos and more on Yahoo! Local. We work with local florists and flower shops to offer same day delivery. You will find budget sympathy flowers in Pompton Plains here. Our funeral flowers are cheap in price but not in value.